Harry Potter’s latest adventures weren’t the only UK film premiere on show recently – Talent Studio showcased their films to excited audiences across the country. While these screenings didn’t have the designer dresses and red carpet of the Hogwarts hero, the imagination and skill on display certainly rivalled that of the professionals. Talent Studio was funded by BIG’s Young People’s Fund programme to work with young people in deprived communities. 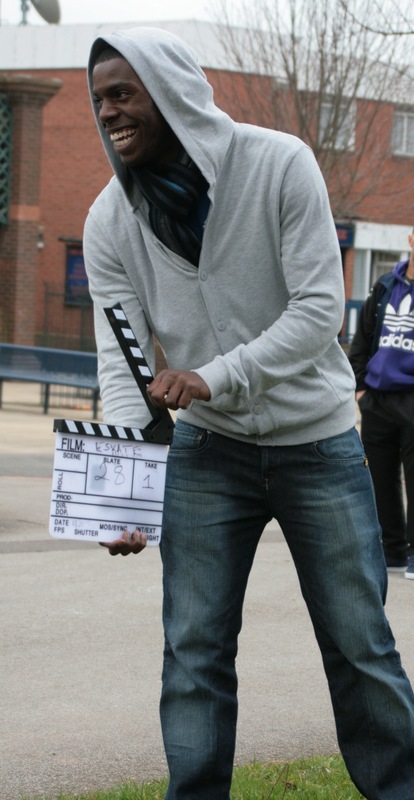 The project, delivered by Media Trust, Catch22 and Fairbridge Charities, enabled young people to write, act in and make their own short films. I went along to the Nottingham screening to find out more, scoff some popcorn and do a spot of film reviewing – Jonathan Ross, eat your heart out! Eskate was the story of an old homeless man who finds a skateboard and spends the day using it to recapture his youth. A mature and thought provoking piece, Eskate took a humorous and affectionate look at a sad situation and really captured the pathos of the old man’s plight. The Frame was about a young boy who builds his own bike and wins a BMX competition in an attempt to win over his father, who sees his hobby as “absolute rubbish”. 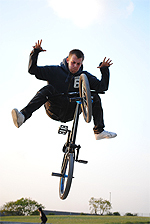 Displaying a keen sense of indignation and an alternative perspective, the film also featured some good bike stunt work from its young stars. The final film S.N.A.P. was made in a hurry as makers Adam Belcher and Kurtis Newbury explained: “We couldn’t think of anything quickly so we just did it about gangs.” Yet I doubt there’s ever been a film about gangs quite like this one. It may have been filmed to look like Reservoir Dogs but the content was nothing like Tarantino and much the better for it. Talent Studio has already enabled some of the young people to get valuable experience that has helped them get college places and jobs but beyond this, the films provide young people with life skills and a chance to tell their own stories. The future of the British film industry is in good hands.